This is an index to the images of plants, flowers and trees on this website. 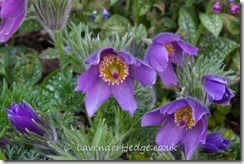 If you are interested in licensing any images, please do not hesitate to contact me: headgardener [at] LavenderHedge.co.uk with full details of your requirements. If you are looking for seasonal interest in your garden, or are trying to identify a plant in flower, you may find the following filters useful. Please note that plants do not always flower when they should, so this is only an approximate guide. 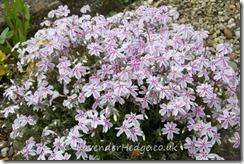 A pretty rockery plant which puts on a great display of these candy striped flowers, loved by the bees. It is tidied up after flowering. This is a wildflower that blooms around Easter time, and a sign that Spring has arrived. 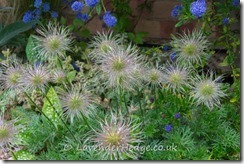 After flowering it develops lovely seed heads to add further interest to the border for many more weeks.